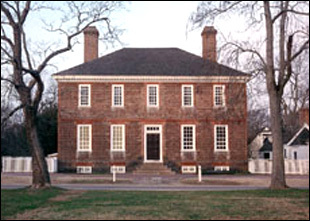 The restoration of the historic town of Williamsburg has influenced generations of Americans and their understanding of life, architecture and color in Colonial America. Guided by the interest of the Reverend W.A.R. Goodwin and the financial support of John D. Rockefeller, Jr., this renowned restoration helped to inspire and develop the national movement in historic preservation in the early-to-mid 20th century. As the restoration of the most significant buildings progressed through the World War II era, considerable interest developed in the colors of the original paints used on the numerous buildings' interior and exterior trim. The approach to researching in those years concentrated on the scraping of paint layers to reveal large areas of what appeared to be the first finish; color samples were made up to match those exposed areas. By the mid-20th Century, the palette developed from these trend-setting efforts captured the interest of visitors and scholars alike. By marketing a line of historic paints, the colors of Williamsburg became famous. By the late 20th century the approach to historic architectural paint investigation had evolved and improved. 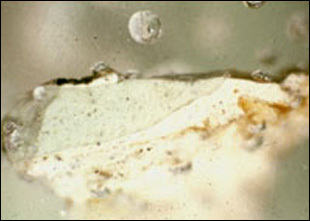 The use of the microscope was introduced in order to more closely examine the complete paint layer structure on small samples carefully extracted from discrete locations where the old paint evidence typically is thicker and in better condition. Many 18th century buildings along America's east coast were being restored using these more advance techniques. 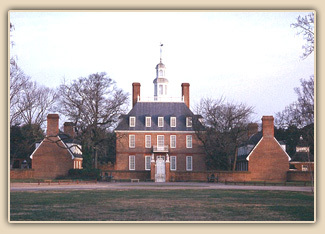 In 1987, the Colonial Williamsburg Foundation elected to review and reevaluate its previous research and findings by consulting with Frank S. Welsh. 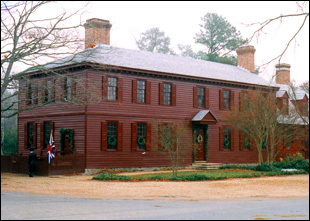 Since then, Welsh has comprehensively investigated and analyzed the paints on nine of the most significant 18th century structures in Williamsburg, which are now repainted with the newly evaluated colors. They include: Barraud House, Brush-Everard House, Carter House, Geddy House, Ludwell-Paradise House, Peyton Randolph House, Rabon House, St. George Tucker and Wythe Houses. In addition, we conducted a survey of regional public buildings' exterior and interior trim finishes to gather data on the paint colors used on other 18th century Tidewater buildings. 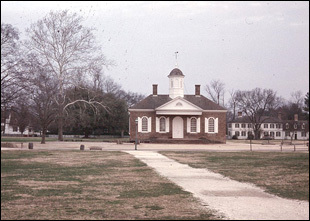 The eleven buildings analyzed were primarily churches and courthouses and included Fork Church and King William County Courthouse. 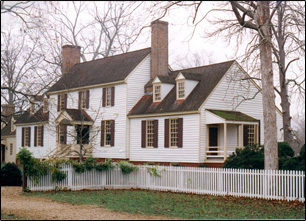 The information gathered contributed to the selection of paint colors chosen to repaint the 1770s Williamsburg Courthouse where no original paints survive. This survey, as well as precedents from Welsh Color and Conservation, Inc.'s extensive database of 18th century American architectural paint colors, also was used to select colors for repainting the interior and exterior of the reconstructed Governor's Palace. 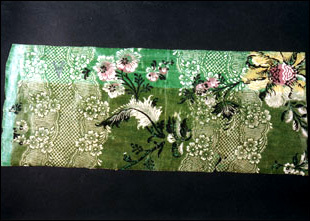 Wallpapers were popular and widely used in the 18th century and documentation survives to confirm its use throughout Williamsburg. Lamentably, the plaster walls and ceilings in most of the historic buildings were removed in the first thirty years of restoration at Colonial Williamsburg. However, in the process, numerous wallpaper fragments were collected over the years from these and other regional buildings. 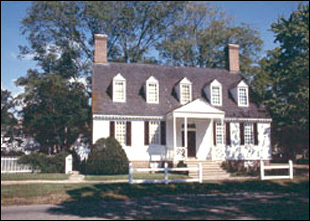 In order to authenticate selected papers for eventual reproduction, the Colonial Williamsburg Foundation consulted with Frank S. Welsh. Using polarized light microscopy, the composition and original colors of twenty-two wallpapers from this extensive study collection were analyzed. This is the first time a large wallpaper collection has been studied in such a way to evaluate paint pigments and fiber types to authenticate age. The findings from our wallpaper analysis and research by curators contributed to the installation of reproduction wallpapers at the Brush-Everard House, Peyton Randolph House, Wythe House, and the Barraud House. Wythe House with original white trim and dark brown door One of 22 wallpaper samples in the collection of Colonial Williamsburg analyzed by Frank S. Welsh, this fragment was discolored to a brownish appearance where exposed to the environment. However, an area covered by a seam reveals a vibrantly colored background of verdigris green glaze. The paper bears a Dutch watermark dating to the early 18th century where it was manufactured before being sent to England for printing. The findings of our 1987 investigation of the Barraud House, revealed that the light green color considered to be the 18th century exterior trim finish was in fact a Victorian paint color. 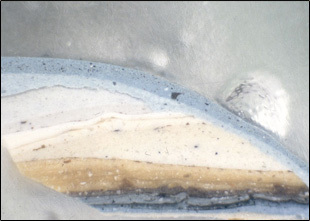 Microscopical examination of the paint layers uncovered the existence of two underlying coats of white paint. Microchemical analysis, used to identify the pigment composition, indicated the green color contained zinc white, which was not commercially available until the middle of the 19th century. Thus, the underlying white paint was the trim color during the Barraud occupancy. Crossection of paint layers from the exterior trim of the Barraud House illustrating 18th century white paint layers beneath the mid-to-late 19th century light green. 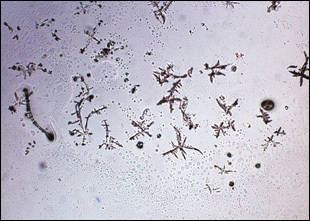 A microchemical test on the light green paint produced these feathery cross-like crystals confirming the presence of zinc. Most of the buildings investigated by Welsh Color & Conservation, Inc. now have been repainted with the colors found from this extensive and groundbreaking reevaluation. Some of the colors once thought to be colonial were in fact Victorian, and many colors authentic to the period were actually much more vibrant than previously interpreted. Overall, the reinterpretation of the original paint colors as well as wallpapers of Williamsburg is offering a new generation of visitors a much more accurate perspective on colors, history and of the town as it existed in the colonial era.